Student loan debts are piling up in the U.S. of up to $1.2 trillion, according to data analysis gathered by the CFPB (Consumer Financial Protection Bureau). With a total of over 7 million student loan borrowers in default, the chances of homeownership for these individuals are looking pretty slim at this point. From a scale of 329 to 625 points, survey shows that our 15-year old students today are middling a little below the average of 500 points. This goes to show that we have some work to do in providing financial education to our future homeowners. 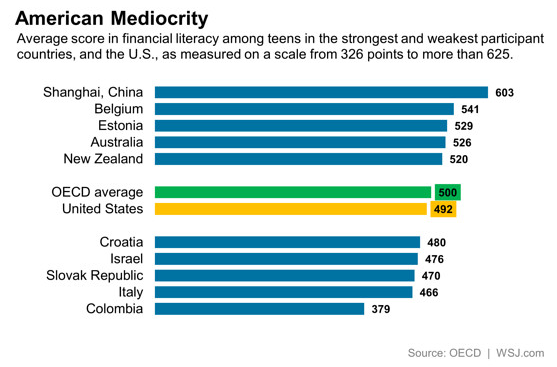 Many teenagers today are already taking on consumer services through bank accounts. Pretty soon they will be facing financial decisions to make on their own. The 1.2 trillion dollar student loan debt in the U.S. today is unfortunate, but is an example of what we can prevent. There are several factors that can affect a borrower’s credit score. Interested in finding out what type of rate your current credit score will qualify you for? speak with a lender today for a free rate quote. One of the biggest decisions is the purchase of a mortgage. Mortgage program guidelines may change every now and then, but the one thing that doesn’t change and lenders tend to look at is a borrower’s credit worthiness. Student loan debts can have a huge impact on a borrower’s FICO credit score. It is extremely important to try and make payments towards these unpaid loans while you still can. Credit scores determine the type of mortgage rates a borrower can take advantage of or worst case scenario if they will even be approved for a loan. 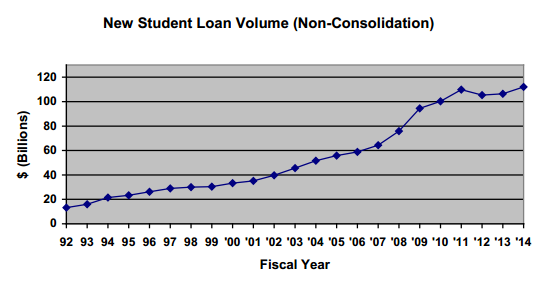 The student loan volume has skyrocketed over the years, from being at $18 billion dollars to nearly $120 billion. Just four months after the shopping sheet was unveiled, 500 colleges and universities had plans on introducing it to their students for the upcoming school year. By April 2014 more than 2,000 schools adopted the shopping sheet. Applying for a mortgage can be expensive, but having a good credit score can give you the lowest rate possible Mortgage Home Base can help you find a professional lender who can offer a free rate quote today. The shopping sheet was a great attempt in educating students and parents on the financial responsibilities of these loans, but unfortunately it wasn’t as successful as it was set out to be. It is important to keep in mind that there are several key factors that can impact your credit score. Payment History (35%) – Bankruptcies, 30 day late payments, Collections, and Judgments. Amount you owe compared to balances (30%) – 40% or less of the available balance is the ideal percentage to be at. Length of Credit History (15%) – How long accounts remain open. Mix of Credit (10%) – Credit cards, Car loans, and other types of money lending experience. New Credit Applications (10%) – Multiple loan and credit applications submitted can hurt your credit if your report is pulled in a short amount of time. Are you ready to take on the responsibilities of a mortgage? Mortgage Home Base can help match you with professional lenders that can help you determine your eligibility today. FICO credit score of at least 530 (640 is preferred). No bankruptcies within past 12 months. No foreclosures within past 3 years. Maximum Debt-To-Income of 54.99%, may vary between lenders. FICO credit score of 620 or higher. Debt-To-Income ratios are 28/36, but may exceed with compensating factors depending on lender. Ch. 7 bankruptcy must be discharged for at least four years or longer, Ch. 13 bankruptcy – credit must be re-established for at least two years and documented on your credit report. Downpayment of at least 5% – 20%. No 30 days late marks on your credit report within the past 12 months. No more than two late rent payments within the past 3 years. No tax liens or delinquent federal debt without payment arrangements already made. No bankruptcies or foreclosure within the past 36 months. FICO credit score of 620 or higher, may vary between lenders. Keep in mind that mortgage program requirements may be different between lenders, states, and counties. The road to homeownership is as easy as we all make it, it is our responsibility to make sure that we pay close attention to our financial habits and how many loans we are able to afford taking out. Repayment of multiple loans can cause more than unwanted financial burden, but worst of all it can take away the chances of homeownership if loans are left unpaid.